North Korea is under heavy international pressure to end its nuclear and missile programmes, pursued in defiance of U.N. Security Council resolutions, but has vowed never to give up its nuclear arsenal which it says it needs to counter perceived U.S. aggression. SEOUL: South Korea and the United States agreed on Friday to keep working for a peaceful end to the North Korean nuclear crisis, but a U.S. envoy said it was difficult to gauge the reclusive North's intentions as there has been "no signal". Lee Do-hoon, South Korea's special representative for Korean peace and security affairs, and his U.S. counterpart, Joseph Yun, met on the southern resort island of Jeju, following a summit between South Korean President Moon Jae-in and U.S. President Donald Trump in Seoul last week. "There is no doubt that both of the presidents want to find a peaceful way in regard to North Korea's nuclear issue," Yun told reporters, according to Yonhap news agency. "So we discussed them and we agreed the pressure campaign has to be a central element." Trump has said the time for talk is over but he took a softer tone on his trip to Seoul. North Korea's last missile test was on Sept. 15 but Lee and Yun did not seem to put much emphasis on the lull, Yonhap said, as they were unable to gauge its intentions. "I hope that they will stop forever. But we had no communication from them so I don't know whether to interpret it positively or not. We have no signal from them," Yun said. Lee drew significance from the fact that China, the North's lone major ally, had sent a special envoy to Pyongyang, saying that South Korea was closely watching what would come out of the visit. The envoy arrived on Friday. 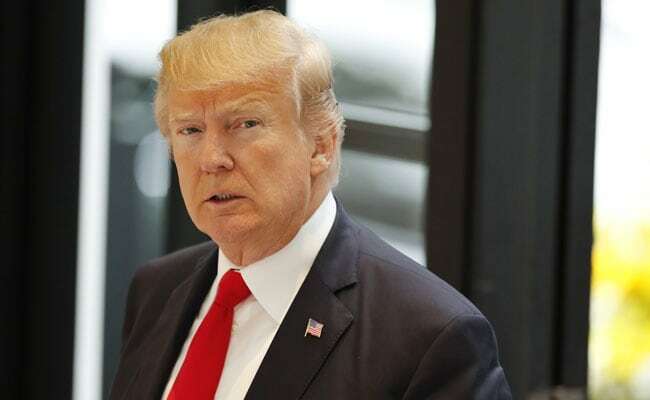 Trump has traded insults and threats with North Korean leader Kim Jong Un as North Korea races towards its much publicised goal of developing a nuclear-tipped missile capable of reaching the United States. The United States stations 28,500 troops in South Korea, a legacy of the 1950-53 Korean war. It denies North Korea's persistent accusation that it is planning to invade.